In Los Angeles County, where 98 percent of coastal wetlands have been filled in and developed, conservationists have worked for three decades to protect the last remnant of the historic Ballona Wetlands near the Los Angeles International Airport. 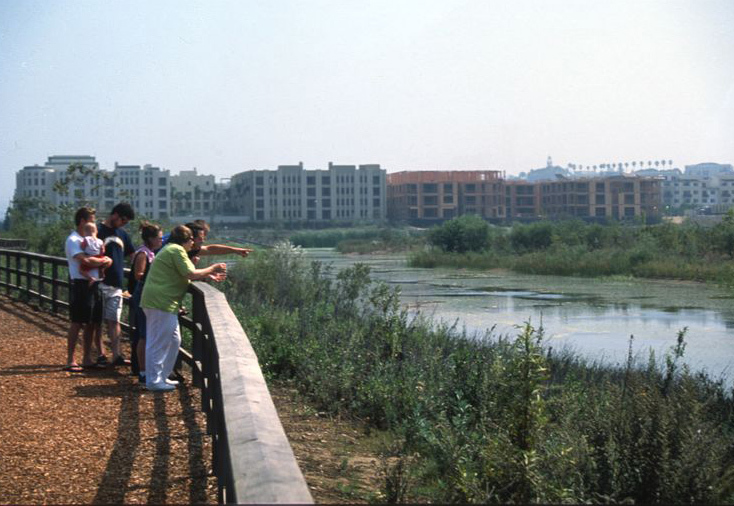 The restorable wetlands will offer a priceless educational and natural resource in the nation's largest metropolis. Great blue herons and brown pelicans are a frequent sight here, and a bike path and hiking trails skirt the edge of the marsh. In December 2003, after three years of negotiation between the state, The Trust for Public Land, and the landowner and nearly thirty years of work by local wetland activists, resource agencies, and officials, the State purchased and will permanently protect 483 acres, including the 150 acre wetland. Funding came from voter-approved Proposition 50, which set aside $300 million for coastal wetland acquisition and restoration in Los Angeles and Ventura Counties.